Mid-year is already upon us and with it we bring you the June edition of the Inclusive Growth Bulletin. 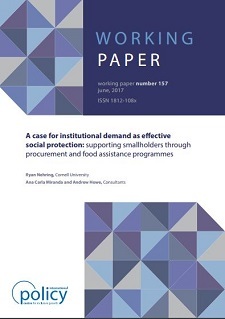 It is full of new publications released by the Centre, ranging from a study on smallholders and food assistance programmes to an article presenting an evaluation of the Uganda Social Assistance Grants for Empowerment (SAGE) programme. We also bring you news and updates regarding the IPC-IG's policy dialogue activities, including a social protection study tour for representatives of the Governments of the Republic of Congo and the Republic of Mali, that we were honoured to organise in partnership with the World Bank Group. In the Working Paper "A case for institutional demand as effective social protection: supporting smallholders through procurement and food assistance programmes", Ryan Nehring (Cornell University), Ana Carla Miranda and Andrew Howe (consultants) address the rationale for state-based market interventions to support smallholder production, providing some case studies that follow the evolution and impact of so-called ‘institutional demand’ policies. This publication is available in English, and an accompanying One Pager is available in English, French, Portuguese and Spanish. In the One Pager “Evaluation of the Uganda Social Assistance Grants for Empowerment (SAGE) Programme”, Alastair Haynes and Fred Merttens (Oxford Policy Management—OPM) present the findings of the impact evaluation conducted by OPM to assess the impact of the SAGE pilot programme for two targeting methodologies across four dimensions: reducing material deprivation; increasing economic security; reducing social exclusion; and increasing access to services. This publication is available in English, French and Portuguese. In the One Pager "From policy commitments to the effective implementation of gender-sensitive social protection programme", Charlotte Bilo and Raquel Tebaldi (International Policy Centre for Inclusive Growth—IPC-IG) and Maja Gavrilovic (Food and Agriculture Organization of the United Nations—FAO) summarise the main points of the debate promoted by the eponymous webinar, which was hosted by the socialprotection.org platform. A joint initiative by the IPC-IG and FAO, it was the sixth and final webinar in the gender-sensitive social protection series and looked at the different factors that need to be considered while designing and implementing gender-sensitive social protection programmes. It was held on 2 March 2017 and featured presentations from Maxine Molyneux (University College London), Maja Gavrilovic (FAO) and Pamela Pozarny (FAO). The One Pager is available in English and Portuguese. The One Pager "Career advice and placement services in Sierra Leone", by Molla Mekonnen Alemu (University of Leicester), relays the lessons learned during the Career Advising and Placement Services (CAPS) programme, which is part of the Youth Employment and Empowerment Programme (YEEP), developed and implemented by the United Nations Development Programme (UNDP) and the government of Sierra Leone. CAPS is designed to capacitate university and college students with: labour market and career development information; Information Technology training; and job placement and career development workshop opportunities, among other areas. This article is available in English. The IPC-IG was honoured to host a joint social protection study tour for the governments of the Republic of Congo and the Republic of Mali, aiming to share the Brazilian experience on social protection and poverty reduction programmes and policies. Between 29 May and 2 June, the members of the delegations were presented with the Brazilian experience in implementing, managing and monitoring world-class social policies, such as the Bolsa Família and the Brasil sem Miséria programmes, as well as the Single Registry of Beneficiaries (Cadastro Único). Researchers from the IPC-IG, the Institute for Applied Economic Research (Ipea) and the Brazilian Ministries of Social and Agrarian Development and Labour, among others, delivered presentations to contextualise Brazil’s social protection system. Most of the speakers were researchers with significant experience in the monitoring and evaluation of public policies, and who advise key decision-makers in the Brazilian government. Many of them have also held official positions and have extensive experience in managing social programmes. The study tour was prepared in partnership with the World Bank Group and was part of the IPC-IG’s mandate of promoting South-South dialogue. Read more about it here. 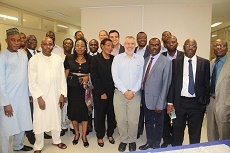 The IPC-IG joined the Sixth Transfer Project Research Workshop: “The state of evidence on social cash transfers in Africa and beyond”, held in Dakar, Senegal, from 7 to 9 June. The Transfer Project is an innovative research initiative led by UNICEF, the Food and Agriculture Organization of the United Nations (FAO), the University of North Carolina at Chapel Hill (UNC) and Save the Children UK. The event brought together social protection experts and stakeholders, including academics, government officials, UNICEF and FAO staff, NGOs, and development partners to discuss in-country experiences and lessons learned from gathering evidence on cash transfer programmes in Africa. The main objectives of the meeting were to increase awareness among participants of cross-regional evidence, identify for further research, and provide evidence-based recommendations for governments in Africa and beyond. IPC-IG's Senior Research Coordinator, Fábio Veras, chaired a discussion session on the book launch "From Evidence to Action: The Story of Cash Transfers and Impact Evaluations in Sub-Saharan Africa. ", featuring panellists Ashu Handa (UNC), Benjamin Davis (FAO), Natalia Rossi (FAO) and Jennifer Yablonski (UNICEF). He also co-authored, alongside with Tia Palermo and Jennifer Yablonski, the presentation titled "Cash Plus & Systems Linkages Overview". The IPC-IG participated in an inception mission organised by UNICEF in Beirut, Lebanon, from 5 to 9 June, as part of an ongoing feasibility study on means to enhance the child-sensitive responses of the country’s social protection system, with a special focus on its National Poverty Targeting Programme (NPTP). 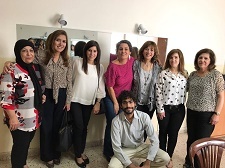 To this end, IPC-IG Research Associate, Pedro Arruda, and Ipea Researcher, Joana Mostafa, gathered information and data to learn more about the NPTP, which includes subsidies and food-voucher assistance to Lebanese families living in extreme poverty. During the week, the team held meetings with Ms. Mary-Luise Abou Jaude, from the Prime Minister's Office, and officials from the Central Administration of Statistics and from the Ministries of Health, Education, and Social Assistance. There were also meetings with representatives of civil society and with key development partners such as the WFP, UNICEF and the World Bank. Our colleagues and partners at socialprotection.org are hosting two interesting webinars. On 22 June, the Organisation for Economic Co-operation and Development (OECD) will present the report “Social Protection in East Africa: Harnessing the Future”. Register for it here. On 29 June, the Brazil Learning Initiative for a World Without Poverty (WWP) will deliver a webinar in French: “How to promote gender-responsive policies: The examples of Brazil and Mali”. Register for it here.